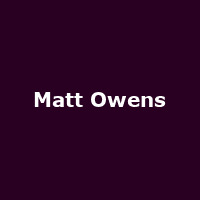 "Matt is a British singer-songwriter and musician, who came to prominence as one of the founder members of indie-folk band Noah and the Whale, and for fronting Rock'n'Roll band Little Mammoths." He released his debut album "Songs for an Empty Room" in 2015 (featuring musicians from both Noah and the Whale and Little Mammoths), followed by 2019's: "Whiskey and Orchids". Thu 16th May 2019 Thea Gilmore, Matt Owens: Small World TurningArlington Arts Centre (Newbury)More Info.. Wed 22nd May 2019 Thea Gilmore, Matt Owens: Small World TurningArtrix Bromsgrove (Worcestershire)More Info..
Thu 23rd May 2019 Thea Gilmore, Matt Owens: Small World TurningTheatre Severn/ Walker Theatre (Shrewsbury)More Info..
Mon 27th May 2019 Thea Gilmore, Matt Owens: Small World TurningThe Stables - Wavendon (Milton Keynes)More Info.. Wed 29th May 2019 Thea Gilmore, Matt Owens: Small World TurningAcapela (Cardiff)More Info..